(October 2017) Diller Scofidio + Renfro, a New York-based internationally acclaimed design firm known for its vibrant, interdisciplinary approach, will design the center for arts and creativity. 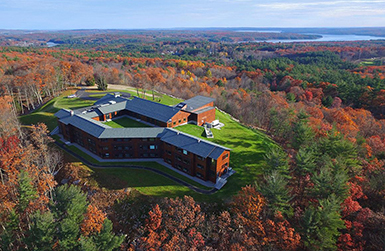 (October 2017) The Thomas P. Joyce ’59 Contemplative Center, which sits on a 52-acre hilltop site less than 20 minutes from campus, opened in September 2016. The new center supports our robust retreat programs. 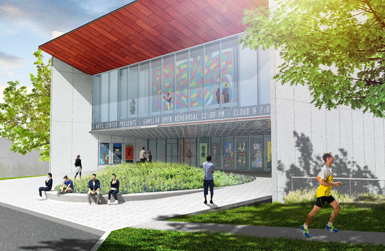 (March 2019) The Joanne Chouinard-Luth Recreation and Wellness Center will serve as the new center for recreation and intramural sports. 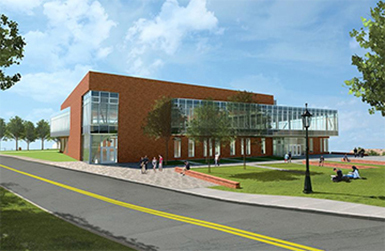 The newly expanded Hart Center at the Luth Athletic Complex was dedicated in April 2018.